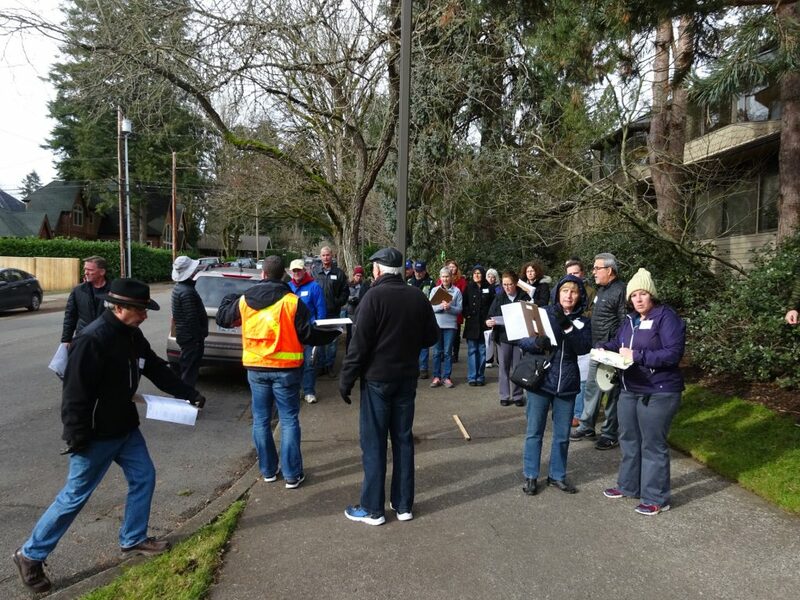 In late January and mid-February, the project team held two D Avenue walking tours for neighbors located along D Avenue, between 10th and State Street. Thirty neighbors participated in the tours. 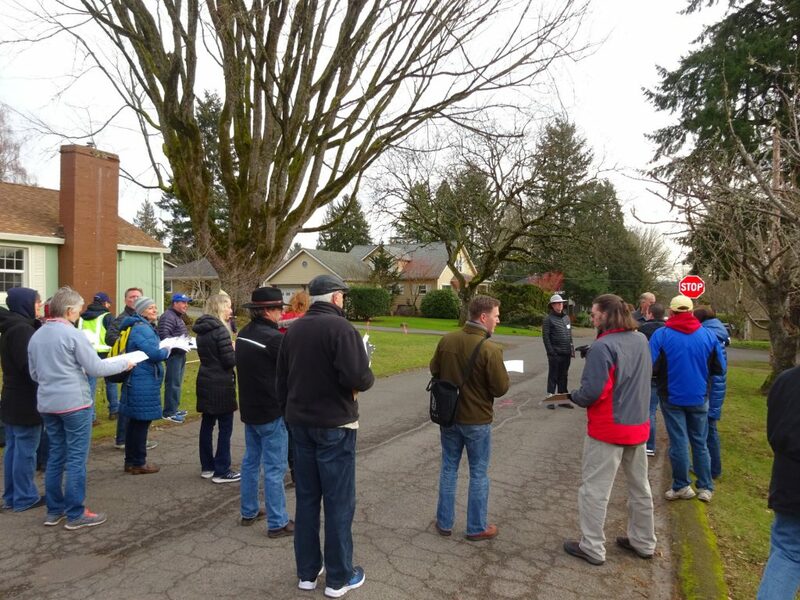 The walking tours provided an opportunity for the project team to meet with, and learn from neighbors adjacent to D Avenue, prior to beginning design work. 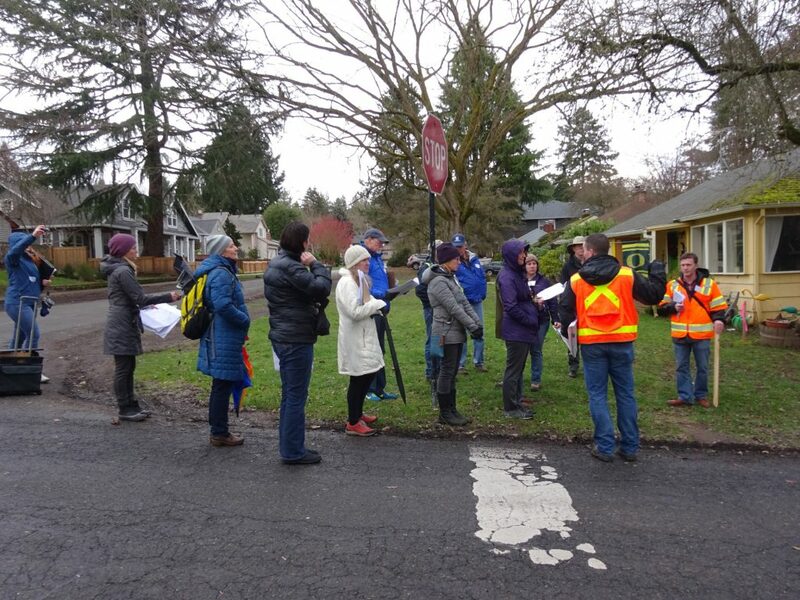 THANK YOU to all neighbors who attended the walking tours – we appreciate your willingness to participate and to share your thoughts, concerns and ideas on the improvements for D Avenue. Your early input and ideas will help the project team incorporate these into the first stage of design. 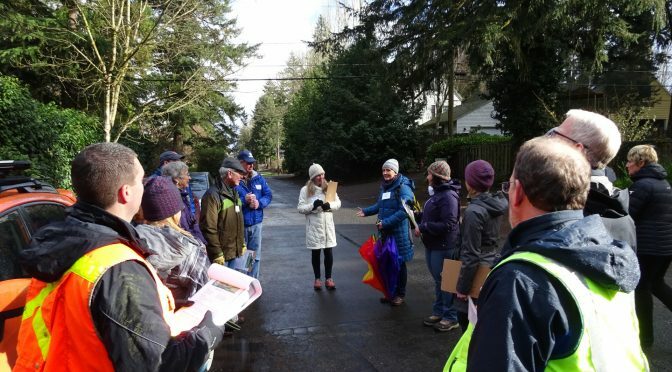 A summary of the walking tours, including key themes that were raised or discussed by participants, is posted on our materials page. Several small group meetings and follow-up visits with select property owners will occur in the coming weeks. Preliminary design concepts will be developed over the next few months. Once these are developed, the project team will host an open house (likely this spring), inviting all members of the community to view and comment on the plans. Final design plans are anticipated to be complete in the fall of 2017. During the next few weeks, neighbors may notice surveyors flagging trees located along D Avenue (in the 60 ft. right-of-way) and in the project area. The project team will be looking at how to minimize any impact to trees. A certified arborist will be surveying the health and condition of the trees.